Spontaneously store in style! The Impromptu® Personal Mobile Storage Center is sure to get the job done whether it’s a spur-of-the-moment project to everyday storage needs, Impromptu has what every workspace is looking for. This versatile, mobile cart stores personal items behind a door and features generous open space to fulfill any storage needs. 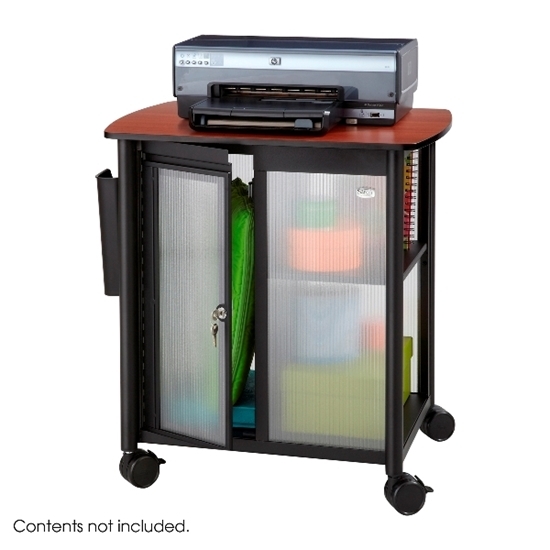 The unit easily fits under the desktop to keep active projects within easy reach. Convenient bin for hot files, filing to-do or collecting daily paper recycling. Available in Metallic Gray or Black frame with alluring polycarbonate panels. Four swivel casters, (2 locking). Give your office a little spontaneous intrigue with Impromptu. 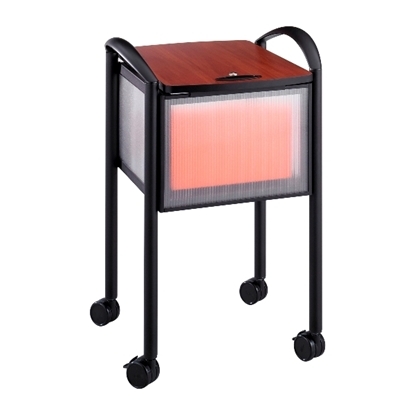 The distinct styling of the steel frame and translucent polycarbonate side panels make this mobile file an attractive addition to your office. Give your office a little spontaneous intrigue with Impromptu®. 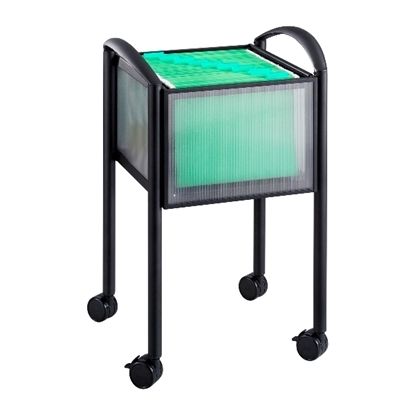 The distinct styling of the steel frame and translucent polycarbonate side panels make this mobile file an attractive addition to your office.